1729 Birth: Moses Mendelssohn was the first Jew to bring secular culture to those living an Orthodox Jewish life. He valued reason and felt that anyone could arrive logically at religious truths. He argued that what makes Judaism unique is its divine revelation of a code of law. He wrote many philosophical treatises and is considered the father of the Jewish Enlightenment. Note: The Orthodox Jewish community viewed the inroads of the "Enlightenment" with dismay, particularly when it gave birth to the Reform movement. It should also be noted that the modern education of assimilated Jews rendered them formidable competitors in the professions, adding yet another layer of antisemitism to the previous religious ones. 1879 Birth: Joseph Wirth: German politician of the Catholic Centre Party, who served as Chancellor of Germany from 1921 to 1922. Along with his foreign minister, Walther Rathenau, Wirth set out to follow a policy of "fulfillment" with respect to Germany's reparations in order to show that Germany was incapable of payment. 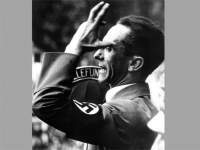 Wirth is nowadays best known for his speech in front of the Reichstag after the assassination of Walther Rathenau by rightist extremists in 1922. Wirth, as a centre-right politician, famously proclaimed "The enemy is on the right!". His words later turned out to be prophetic. Norman Birkett came from the Lake District of North-West England, an area he loved until the end of his life. He was the son of a draper, and was expected to follow in his father's footsteps. He was, however, sent to Cambridge, to study Divinity, and had some experience as a lay preacher (Wesleyan). At Cambridge, however, he was advised to read Law, and having done so, he was called to the Bar, and had a meteoric career, mainly for the defence, first on the Midland circuit, and later in London, where he shared the chambers of another giant among advocates, Marshall Hall. What was endearing about Birkett was that he never shirked his responsibilities to poor defendants, who enjoyed his services for nominal fee, while he normally received thousands. He should have stayed at the Bar, instead of enduring the disappointments attendant upon his political convictions (Liberal) causing him to be overlooked for the judiciary. After devoting countless hours free of charge to the screening of enemy aliens, he was eventually appointed a judge. Having been approached with a view to fulfilling the role of the British Judge at Nuremberg, he was disappointed to find that he would be passed over in favor of a Lord Justice of Appeal. Notwithstanding his disappointment, he made a considerable contribution to the proceedings, including the draft of a great part of the judgment. On September 6, 1914, some 30 miles northeast of Paris, the French 6th Army under the command of General Michel-Joseph Manoury attacks the right flank of the German 1st Army, beginning the decisive First Battle of the Marne at the end of the first month of World War I. 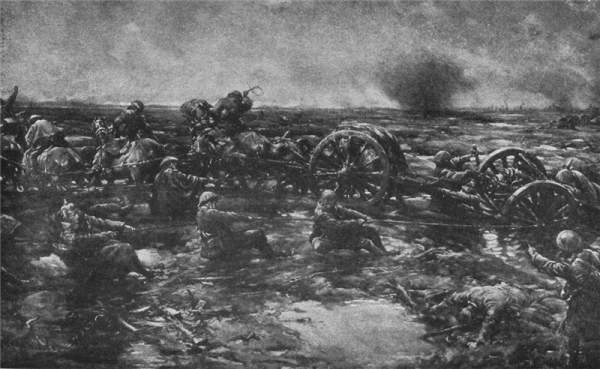 After invading neutral Belgium and advancing into northeastern France by the end of August 1914, German forces were nearing Paris, spurred on by punishing victories that forced five French armies into retreat after the Battles of the Frontiers at Lorraine, Ardennes, Charleroi, and Mons. In anticipation of the German attack, the anxious French government appointed the 65-year-old General Joseph-Simon Gallieni as the military governor of Paris. Gallieni, predicting that the Germans would reach Paris by September 5, did not wish to sit idly back and wait for invasion. In the first days of September, he managed to convince the French commander in chief, Joseph Joffre, to spare him an army—Manoury's 6th Army—from the front in order to aggressively defend the capital. 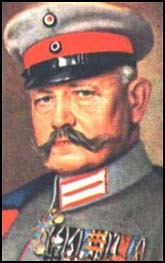 At the same time, General Alexander von Kluck, at the head of the German 1st Army, was disobeying orders from its own headquarters to double back and support General Karl von Bulow's 2nd Army, thus protecting itself from possible attacks from the French on its right flank, from the direction of Paris. Not wanting to subordinate himself to Bulow's command, Kluck ordered his forces to proceed in their pursuit of the retreating French 5th Army, under General Charles Lanrezac, across the Marne River, which they crossed on September 3. 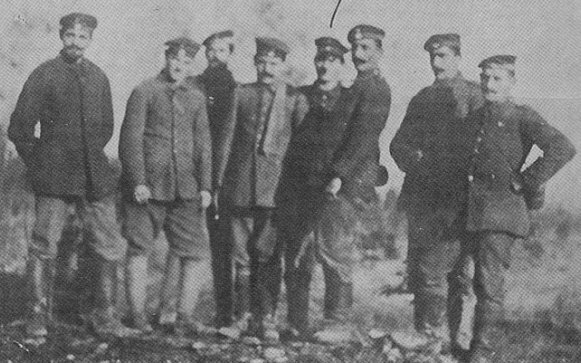 When Gallieni learned of Kluck's move that morning, he knew the French 6th Army—the new army of Paris—had been given its opportunity to attack the German flank. Without hesitation, he began to coordinate the attack, urging Joffre to support it by resuming the general French offensive earlier than army headquarters had planned. On September 4, Helmuth von Moltke, chief of the German general staff, learned that Kluck had disobeyed orders, and that his troops—exhausted and depleted of resources, having outrun their lines of supply over the course of their rapid advance—had crossed the Marne. Fearing the attack from Paris on the 1st Army's exposed flank, Moltke ordered that the march of the 1st and 2nd Armies towards Paris be halted in order to face any threat from that direction. The order came too late, however, as Gallieni had already readied his army for an attack, and Joffre—with help from the British minister of war, Lord H. H. Kitchener—had obtained the promised support of the British Expeditionary Force (BEF), commanded by Sir John French, for the French 5th and 6th Armies in their renewed offensive against German forces at the Marne. On the morning of September 6, the 150,000 soldiers of Manoury's 6th Army attacked the right flank of the German 1st Army, whose turn to meet the attack opened a 30-mile-gap between Kluck's forces and Bulow's 2nd Army. Acting quickly, the French 5th Army—under a new leader, General Louis Franchet d'Esperey, appointed by Joffre to replace Lanrezac—and divisions of the BEF poured into the gap and simultaneously attacked the German 2nd Army. Fierce fighting continued over the next several days . . . . The British developed the tank in response to the trench warfare of World War I. In 1914, a British army colonel named Ernest Swinton and William Hankey, secretary of the Committee for Imperial Defence, championed the idea of an armored vehicle with conveyor-belt-like tracks over its wheels that could break through enemy lines and traverse difficult territory. The men appealed to British navy minister Winston Churchill, who believed in the concept of a "land boat" and organized a Landships Committee to begin developing a prototype. To keep the project secret from enemies, production workers were reportedly told the vehicles they were building would be used to carry water on the battlefield (alternate theories suggest the shells of the new vehicles resembled water tanks). Either way, the new vehicles were shipped in crates labeled "tank" and the name stuck. The first tank prototype, Little Willie, was unveiled in September 1915. Following its underwhelming performance—it was slow, became overheated and couldn’t cross trenches—a second prototype, known as "Big Willie," was produced. By 1916, this armored vehicle was deemed ready for battle and made its debut at the First Battle of the Somme near Courcelette, France, on September 15 of that year. Known as the Mark I, this first batch of tanks was hot, noisy and unwieldy and suffered mechanical malfunctions on the battlefield; nevertheless, people realized the tank's potential. Further design improvements were made and at the Battle of Cambrai in November 1917, 400 Mark IV’s proved much more successful than the Mark I, capturing 8,000 enemy troops and 100 guns. Birth: Franz Josef Strauss: One-time Nazi, West German Minister of Defense (1956-62). He served two years on the eastern front, became an artillery officer, and ended World War II in American captivity. 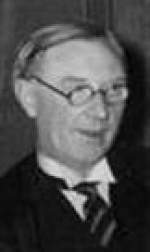 In 1945 Strauss was active in founding the Christian Social Union (CSU), the quasi-independent Bavarian sister party to the larger Christian Democratic Union (CDU) led by Konrad Adenauer, West German chancellor from 1949 to 1963. Strauss quickly gained attention. We are in the midst of a heavy battle with the foe. If numerical superiority alone were to guarantee victory, then Germany would long since have been crushed to the ground. The enemy knows, however, that Germany and her allies can never be vanquished by arms alone. What are the facts? In the east we have forced peace, and in the west we are also strong enough to do the same despite the Americans. But we must be strong and united. Why does the enemy incite the coloured races against the German soldiers? Because he wants to annihilate us. The enemy also endeavours to sow dissension in our ranks by means of leaflets dropped from aeroplanes above our lines. Ten thousand of these are sometimes gathered up in a day. The enemy knows what strength resides in our State and Empire; hence he seeks by his leaflets and false rumours to arouse distrust among us. There have always been some traitors to the Fatherland, a few deliberately false, others unintentionally so. Most of these now reside in neutral countries, having deserted us to escape sharing in our battles and privations, and to escape being executed as traitors. Be on your guard, German soldiers. Persuaded that the time has come when a frank renunciation of war as an instrument of national policy should be made to the end that the peaceful and friendly relations now existing between their peoples may be perpetuated; Convinced that all changes in their relations with one another should be sought only by pacific means and be the result of a peaceful and orderly process, and that any signatory Power which shall hereafter seek to promote its national interests by resort to war a should be denied the benefits furnished by this Treaty; Hopeful that, encouraged by their example, all the other nations of the world will join in this humane endeavor and by adhering to the present Treaty as soon as it comes into force bring their peoples within the scope of its beneficent provisions, thus uniting the civilized nations of the world in a common renunciation of war as an instrument of their national policy. Between 1933 and 1935, Austria had been protected against any German bullying by Italy. In fact, in 1934, Italy had massed her troops on the Brenner Pass when it seemed that Germany might take over Austria after the Austrian chancellor Dollfuss had been murdered by right-wing thugs. The message to Hitler was clear. USA: Congress debates the Alien Registration Act. National Socialism is not a cult-movement: a movement for worship; it is exclusively a 'voelkisch' political doctrine based upon racial principles. In its purpose there is no mystic cult, only the care and leadership of a people defined by a common blood-relationship. Therefore we have no rooms for worship, but only halls for the people—no open spaces for worship, but spaces for assemblies and parades. We have no religious retreats, but arenas for sports and playing-fields, and the characteristic feature of our places of assembly is not the mystical gloom of a cathedral, but the brightness and light of a room or hall which combines beauty with fitness for its purpose. In these halls no acts of worship are celebrated, they are exclusively devoted to gatherings of the people of the kind which we have come to know in the course of our long struggle; to such gatherings we have become accustomed and we wish to maintain them. We will not allow mystically-minded occult folk with a passion for exploring the secrets of the world beyond to steal into our Movement. Such folk are not National Socialists, but something else. 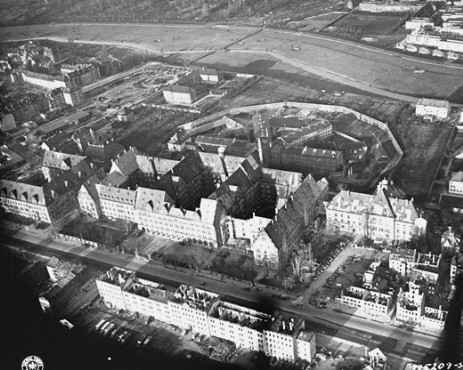 Since anxiety over war, especially the fear of a German attack, has strongly influenced the attitude of the population here in the last few years, the conclusion of a non-aggression pact with Germany has been generally received with great relief and gratification. However, the sudden alteration in the policy of the Soviet Government, after years of propaganda directed expressly against German aggressors, is still not very well understood by the population. Especially the statements of official agitators to the effect that Germany is no longer an aggressor run up against considerable doubt. The Soviet Government is doing everything to change the attitude of the population here toward Germany. The press is as though it had been transformed. 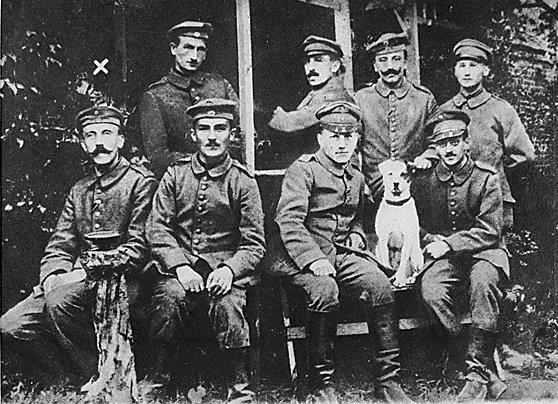 Attacks on the conduct of Germany have not only ceased completely, but the portrayal of events in the field of foreign politics is based to an outstanding degree on German reports and anti-German literature has been removed from the book trade, etc. The beginning of the war between Germany and Poland has powerfully affected public opinion here, and aroused new fear in extensive groups that the Soviet Union may be drawn into the war. Mistrust sown for years against Germany, in spite of effective counter-propaganda which is being carried on in party and business gatherings, cannot be so quickly removed. 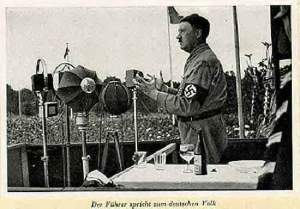 The fear is expressed by the population that Germany, after she has defeated Poland, may turn against the Soviet Union. The recollection of German strength in the World War is everywhere still lively. In a judgment of conditions here the realization is of importance that the Soviet Government has always previously been able in a masterly fashion to influence the attitude of the population in the direction which it has desired, and it is not being sparing this time either of the necessary propaganda. An air raid siren prompted a squadron of Royal Air Force Hurricanes to take off from North Weald Airfield, followed by two reserve Hurricanes. Spitfires taking off from Hornchurch Airfield had been told that the two reserve Hurricane aircraft were enemy airplanes, and ordered to attack. Inside the Hurricanes were Frank Rose, who survived though shot down, and an officer, Montague Hulton-Harrop, who was shot down by John Freeborn, to become the first British pilot fatality of the war. The entire air-raid warning turned out to be a false one. At the ensuing court martial, neither Paddy Byrne nor John Freeborn, the men who shot the two Hurricanes down, were deemed guilty, the court ruling the case as an unfortunate accident. The Hurricane shot down was also the first plane shot down by a Spitfire. The origin of the name is confusing, as the incident did not take place over Barking Creek. South Africa declares war on Germany. 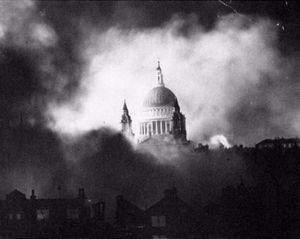 The Blitz: The German air force under Hermann Goering begins its 'blitz' bombing campaign on London: More than 300 people are killed this first day alone, but the radar stations continue to function and planes continue to roll out of British factories. Gamelin was both preceded and succeeded as generalissimo by Maxime Weygand. During the Vichy regime, Gamelin was arrested and unsuccessfully tried for treason along with other important political and military figures of the Third Republic (Edouard Daladier, Guy La Chambre, Leon Blum, and Robert Jacomet) during the Riom Trial. 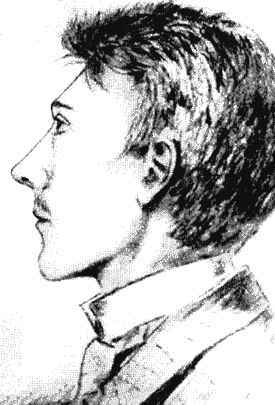 At this trial, Gamelin refused to answer the charges against him, instead maintaining a dignified silence. He was later deported to Germany. Japan will not make any military advancement from French Indo-China against any of its adjoining areas, and likewise will not, without any justifiable reason, resort to military action against any regions lying south of Japan; (c) that the attitudes of Japan and the United States towards the European War will be decided by the concepts of protection and self-defense, and, in case the United States should participate in the Europeans War, the interpretation and execution of the Tripartite Pact by Japan shall be independently decided. We are like animals surrounded by the hunter. The hunter on all sides: beneath us, above us, from the sides. Broken locks snap, doors creak, axes, saws. I feel the enemy under the boards on which I am standing. The light of an electric bulb seeps through the cracks. They pound, tear, break. Soon the attack is heard from another side. Suddenly, somewhere upstairs, a child bursts into tears. A desperate groan breaks forth from everyone's lips. We are lost. The German government's policy of forcing Jews to wear badges, and then confining all who wore them to ghettos, was a tactic aimed at isolating the Jews from the rest of the population. It enabled the German government to identify, concentrate, deprive, starve, and ultimately murder the Jews of Europe under its control. One cannot imagine what our people would do with a government that practices swindles on such a scale as Mr. Churchill's in England. Yet there are people among us who see some sort of political style in it. It does not concern them in the least that it is directed entirely against us and that it is the real cause of the troubles and concerns of the war. We are so afraid of doing an injustice to others that we prefer when uncertain to do ourselves an injustice. One really cannot maintain that the German leadership has made many mistakes in this war. By and large we have always analyzed the situation accurately. Still there are those among us who work to forget everything we have predicted that came to pass and with the same energy remember those cases, and repeat them incessantly, in which we supposedly made a mistake. No one will say that is fair. It is even more distressing, however, when these same people grant a kind of super-correctness to the enemy that is entirely out of place. They find any sign of self-interest on our side objectionable, while viewing the most primitive demagogy on the other side as originality. It really does not take all that much intelligence to see through Mr. Churchill's tricks. Heavy house-to-house fighting continues in the center of Stalingrad. In early September 1942, the German Army advanced to the city. The Russians, already devastated by the power of Blitzkrieg during Operation Barbarossa, had to make a stand especially as the city was named after the Russian leader, Joseph Stalin. For simple reasons of morale, the Russians could not let this city fall. Likewise, the Russians could not let the Germans get hold of the oil fields in the Caucasus. Stalin's order was "Not a step backwards". Barbarossa: 4th Gebirgsdivision of 17th Armee (Ruoff) captures the Black Sea port of Novorossisk. "When Germany attacked Russia, a quick victory was expected. No winter campaign was expected, no retreats, no dying Germans. The German people expected the best, but they got the worst of news. 1943 World War II: Barbarossa: The Red Army succeeds in separating Heeresgruppe Mitte (von Kluge) from Heeresgruppe Sued (von Manstein). Soviet troops occupy Turnu-Severin on the Danube in Rumania and advance to the Yugoslav border. In the years of the Holocaust, the small Jewish community of Turnu Severin, despite the high risks involved, accorded assistance to Jewish refugees from Vienna and Czernowitz who were stuck on two separate ships that were anchored at Kladova, on the Serbian shore of the Danube. In 1941, the Jews of Turnu Severin hosted about 600 Jewish women and children refugees, who were expelled from Darabani, in Moldavia and sheltered them. Belgium: Ghent and Liege fall to British and American forces. By early September the First Canadian Army- with some British, Polish and other troops under command- had liberated much of the French coast north of Normandy and pushed on into Belgium (although several fortified port towns in France would still have to be taken at great effort over the ensuing weeks). In places it seemed the German resistance was faltering. Italian resistance fighters persevere: On this day in 1944, British intelligence receives word that, despite setbacks, Italian guerillas fighting the German occupiers of their country are continuing to widen their activity. Since the Italian surrender in the summer of 1943, German troops had occupied wider swaths of the peninsula, to prevent the Allies from using Italy as a base of operations against German strongholds elsewhere, such as the Balkans. Allied occupation of Italy would also put into their hands Italian airbases, further threatening German air power. As the Allies battled the Germans, pushing them farther and farther north, Italian partisans (antifascist guerilla fighters) aided them. The Italian Resistance had been fighting underground against the fascist government of Mussolini long before its surrender. Now it fought against German fascism—and the Italian monarchy. Italian liberation for the partisans meant a democratic republic: not a return to a country ruled, often ineptly, by a king. The partisans had proved extremely effective in aiding the Allies; by the summer of 1944, resistance fighters had immobilized eight of the 26 German divisions in northern Italy. German reaction to resistance activity was brutal; in one incident, German soldiers killed 382 Italian men, women, and children as revenge for a partisan attack that killed 35 German soldiers. 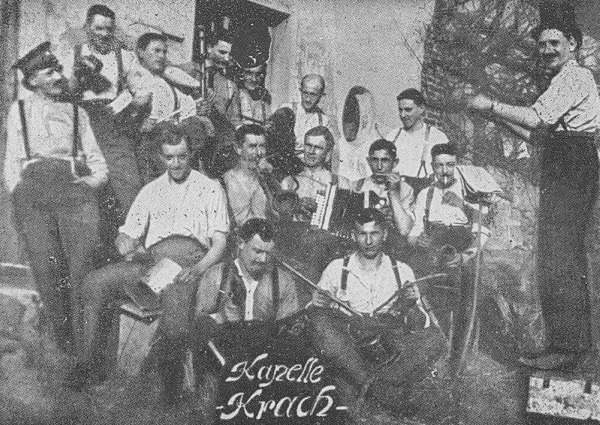 German "sweeps" of partisan activity did much damage, but failed to stop the guerillas. On September 6, the Japanese ambassador to Italy reported back to Tokyo that partisan activity, especially around Turin and the Franco-Italian border, had widened, despite German purges. This information was intercepted by British intelligence and decoded, reassuring the British forces fighting within Italy that they were not alone in fighting the Germans. 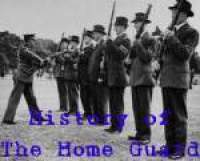 The Home Guard was a key part of the People's War, as were other paramilitary, volunteer organisations, like the Royal Observer Corps (ROC), and Air Raid Precautions (ARP). The ROC, for example, was an integral part of Britain's air defences, spotting attacking enemy aircraft, and reporting their movements to the Royal Air Force's fighter controllers. By 1941, there were over 30,000 men and women in the ROC, largely part-time volunteers. The ARP, the Red Cross, and other organisations, like the Auxiliary Fire Service (AFS), and the Air Cadets were all essential elements in the mass mobilisation of the British people. The Home Guard, with two million volunteers having served in the force by the time it was 'stood down' in 1944, was a key part of many ordinary people's experience of making a difference, of defending their own homes against totalitarianism. 1945 Death: Admiral John S. McCain, Sr. just after arriving back in the United States: He was posthumously promoted to Admiral effective that date. He is buried in Arlington National Cemetery. For his performance as an air planner and carrier task force commander he was awarded the Distinguished Service Medal and two Gold Stars in lieu of subsequent awards. Grandson John S. McCain III was a US Navy pilot during the Vietnam war, who was shot down and spent several years as a POW in the infamous "Hanoi Hilton." After his release, he was elected to the US House of Representatives and the United States Senate from Arizona. He ran for President in 2000 (losing the Republican nomination to George W. Bush) and is making another run in 2008. 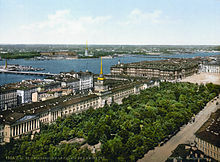 The city of St. Petersburg was founded in 1703 by Peter the Great, hence the name, St. Petersburg. Note: In 1914, at the beginning of World War I, Russian leaders felt that Petersburg was too German-sounding. So they changed the name of the city to Petrograd, to make it more Russian-sounding. Then, in 1924, the country's Soviet Communist leaders wanted to honor the founder of the Soviet Union, Vladimir I. Lenin. The city of Petrograd became Leningrad and was known as Leningrad until 1991 when the new Russian legislators, no longer Soviet Communists, wanted the city to reflect their change of government. 1994 Berlin: The Stars and Stripes flag is lowered for the last time over US Army headquarters in Berlin, formally ending nearly half a century of American presence in the once-divided city. Volkswagen of America announces that it is moving its headquarters from Auburn Hills, Michigan to Herndon, Virginia. The company made the move, it said, to be closer to the East-Coasters who buy most of its cars. "You want to work in an environment where you see your customers," Volkswagen CEO Stefan Jacoby told the Washington Post. "You don't want to work where you basically see only American cars of the Big Three."